I don’t even need to write out ingredients and a step by step recipe for this post. It’s that simple guys. A variety of fruit and water. That’s IT. 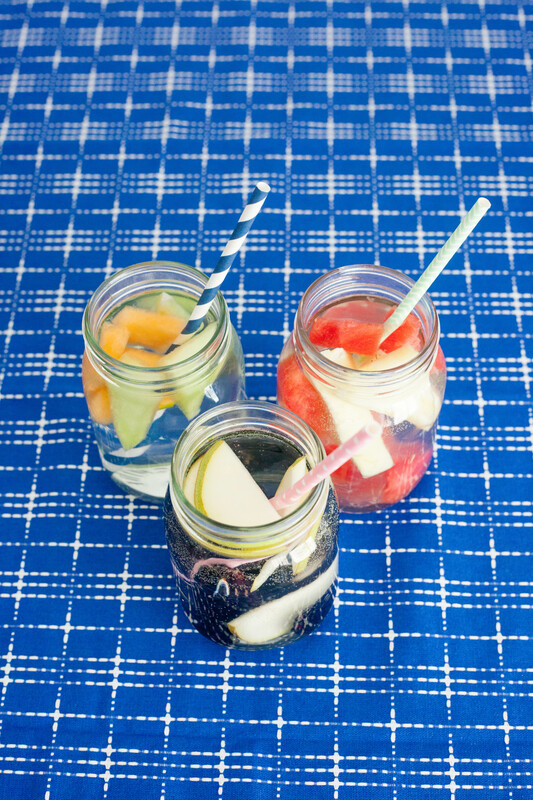 Cut up the fruit, let it marinade in the water for a few hours before serving, and you end up with water deliciousness. Done and done. Ok, so let’s get to these fruit pairings, shall we…? 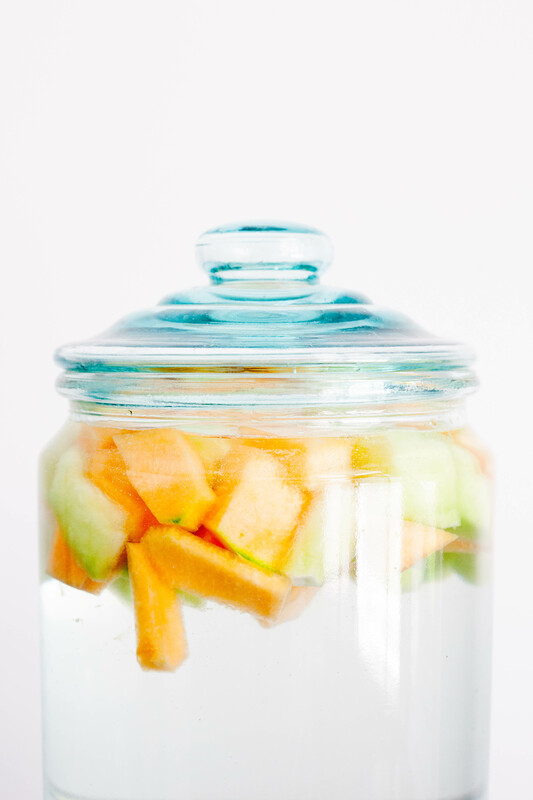 This water is paired with the combination of both honeydew and cantaloupe melon. I actually tried this combo at the hotel I was staying at while I was at Coachella this last year and it was the perfect thirst quencher. The flavor is light and refreshing and not over powering. Just the perfect hint of melon flavor! Next up, pear and blackberry. This one is another subtle flavor combo. Pear flavor is already very mellow, so the addition of the sweet berries gives it a bit of a punch. 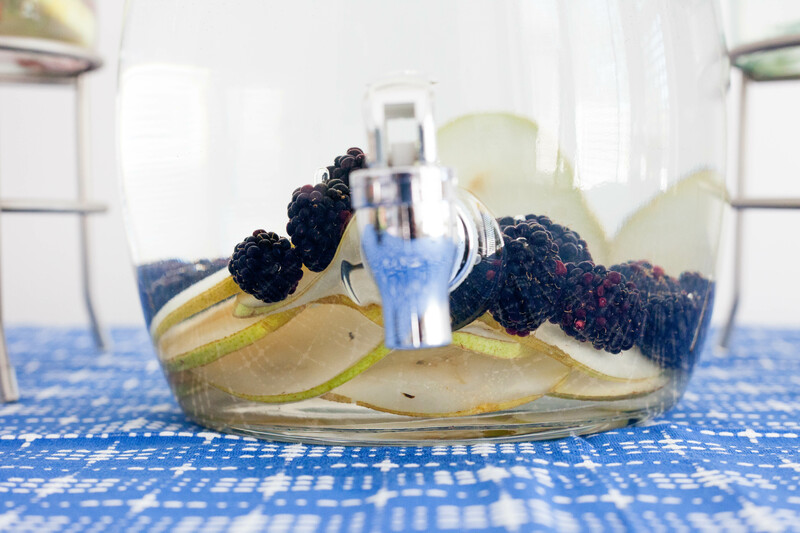 If you really want to infuse more flavor into this water, muddle your berries before adding them to your dispenser or jar! And finally, the last pairing, watermelon and pineapple. (This one might be my favorite). 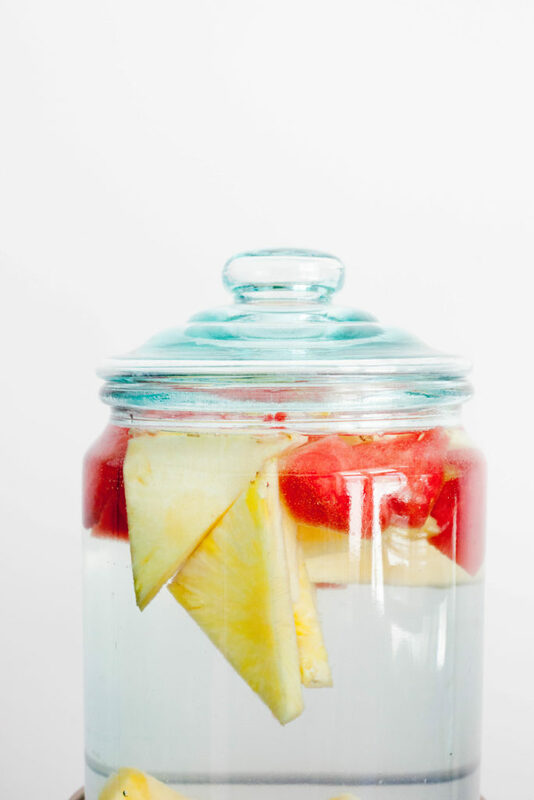 I love tart and the pineapple lends the perfect tart flavor to this water, but the addition of the watermelon adds a sweetness that makes this pairing a beautiful combination. And can we talk about how pretty that color combo is?! This water just epitomizes summer for me and is the perfect water to serve for a bbq or a picnic! 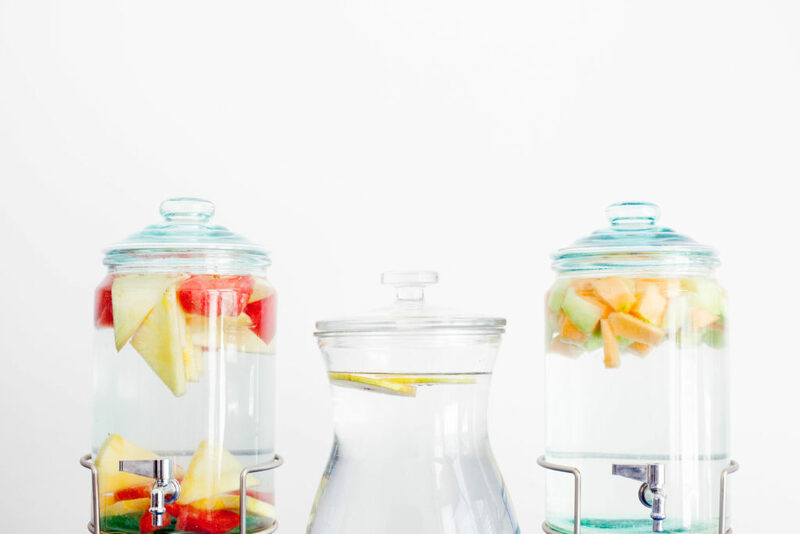 These infused fruit water pairings are simple to throw together and look really pretty if you want to serve them for an upcoming event or gathering too. 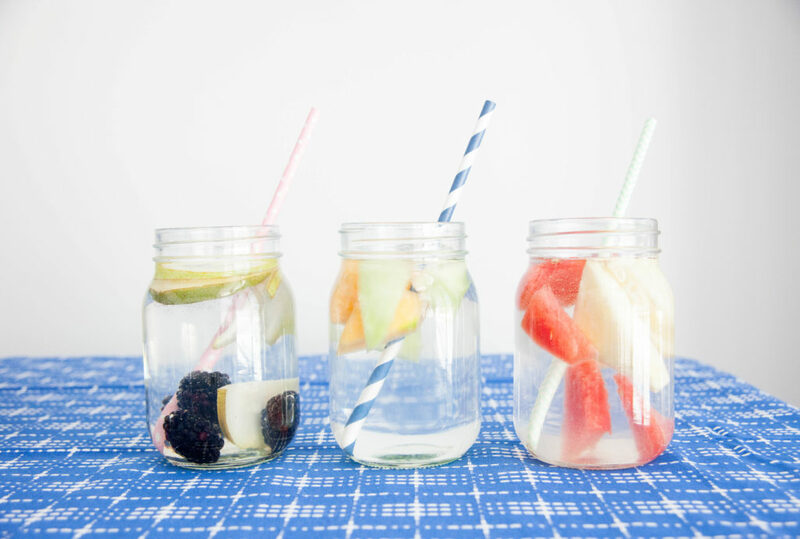 Plus, when you’re done your glass, you get to eat the fruit too! I think that’s an added bonus, don’t you? 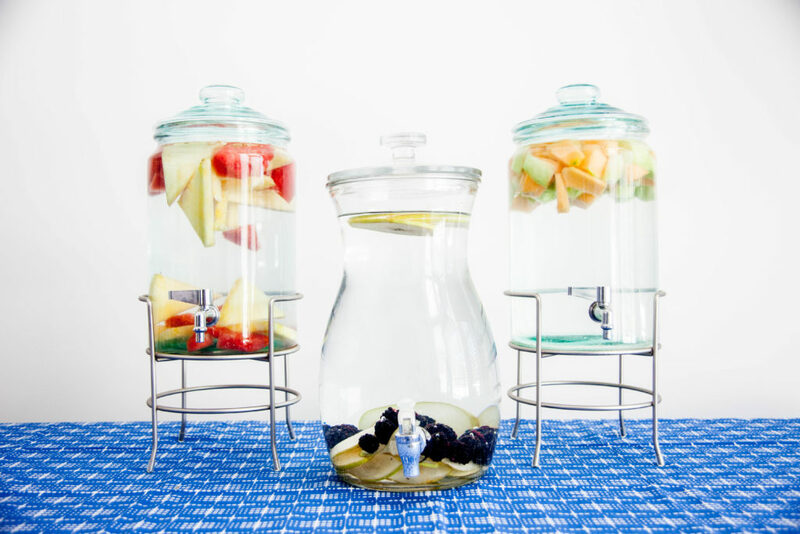 What other infused fruit water combinations do you like? Which fruit pairings are your favorite?